I just love it when I come across a recipe and realize that I already have the ingredients in my kitchen so I can start cooking immediately. It doesn’t happen often. Let’s be real…part of the reason why we don’t make recipes we come across is because it calls for something we don’t have. Part of the reason for this blog is to challenge me into making things that I would normally throw to the side because I don’t have/want to buy the necessary ingredients. 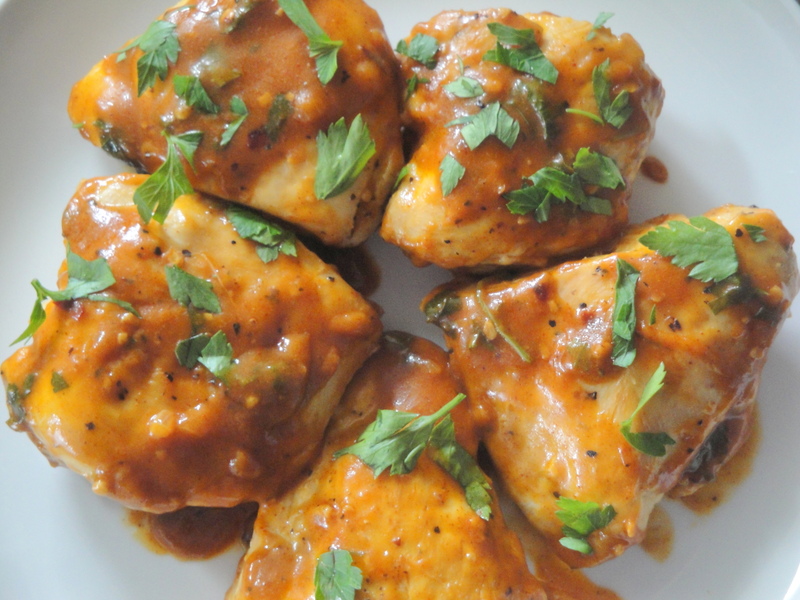 But that doesn’t mean that I don’t love it when no trip to the store is required like with this Chicken in Deviled Gravy. 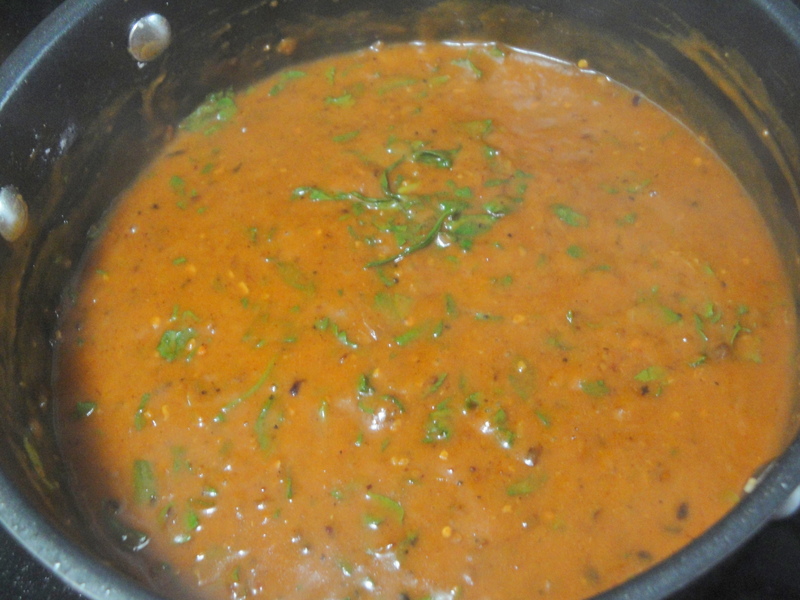 A simple mixture of shallots, garlic, and red pepper flake is thickened with flour, broth, and wine and then bumped up with even more flavors of paprika, dry mustard, hot sauce, Worcestershire sauce, and parsley. 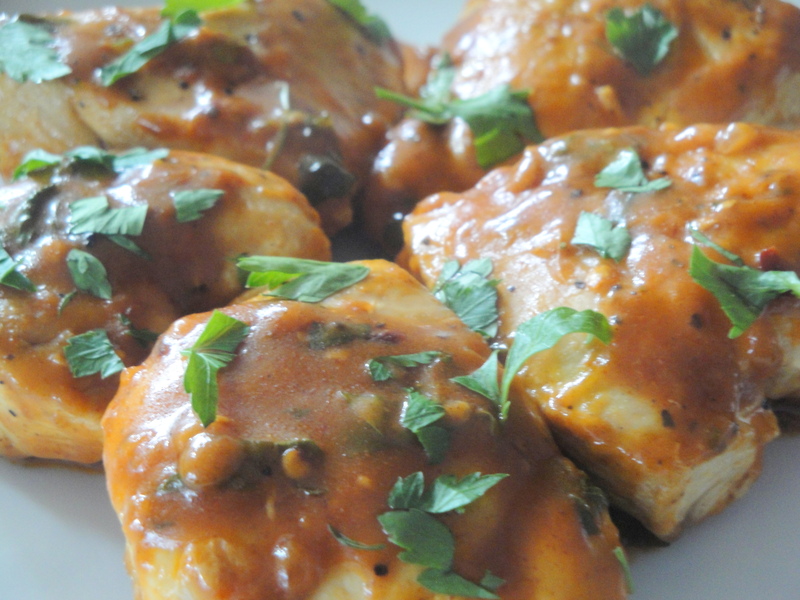 The result is a rich, deep, bright gravy which brings tons of flavor to basic boneless, skinless chicken but would be equally impressive with beef, pork or seafood. Each bite of this chicken had me guessing what it was that I was tasting but it really is the marriage of all of the flavors combined. It’s not buffalo chicken and it’s not barbecue chicken. And it’s definitely not boring chicken. It’s something entirely its own that is sure to have people guessing what it really is. Season the chicken with salt and pepper. 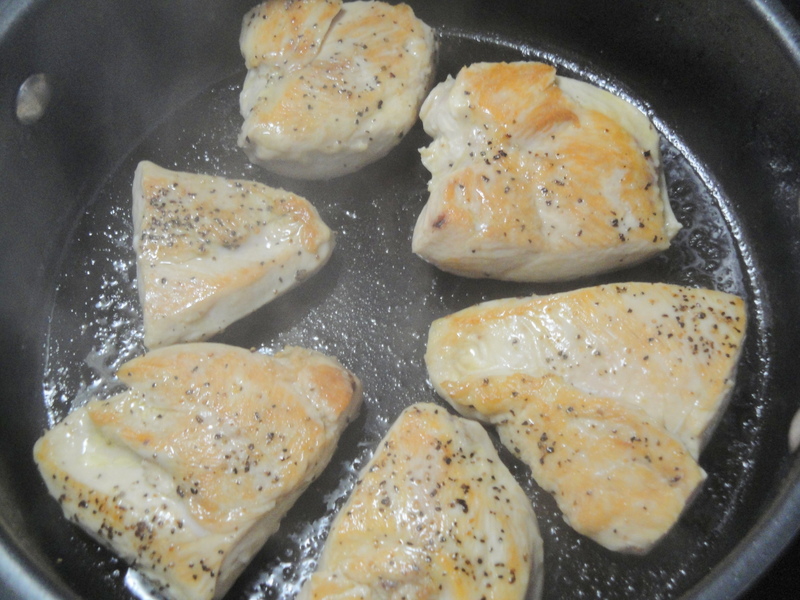 In a skillet, heat the EVOO over medium-high heat. Add the chicken and cook, turning, for 10 minutes. Off the heat, cover to keep warm. Add the butter to the pan over medium-low heat. Stir in the shallots, garlic and chile (or crushed red pepper); season with salt and pepper. Cook for 3 minutes. 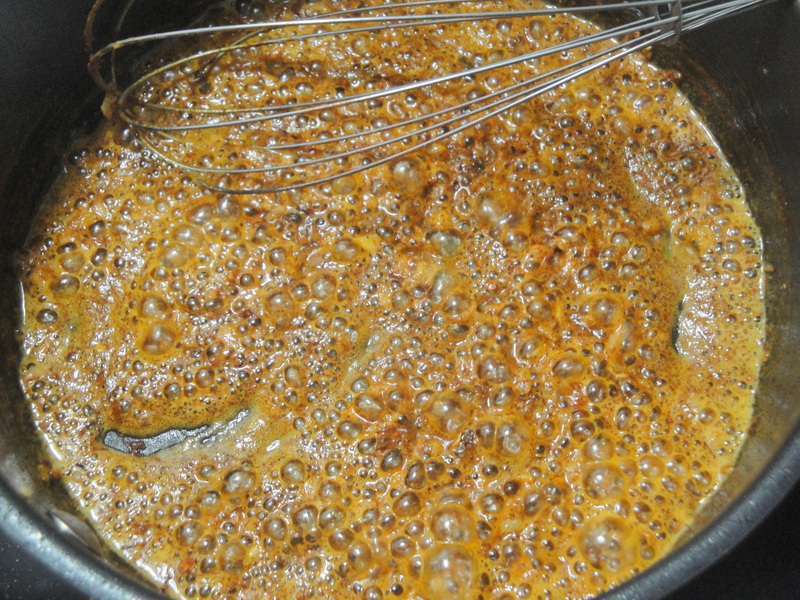 Whisk in the flour, paprika and mustard. Whisk in the stock and vermouth (or white wine); bring to a bubble. 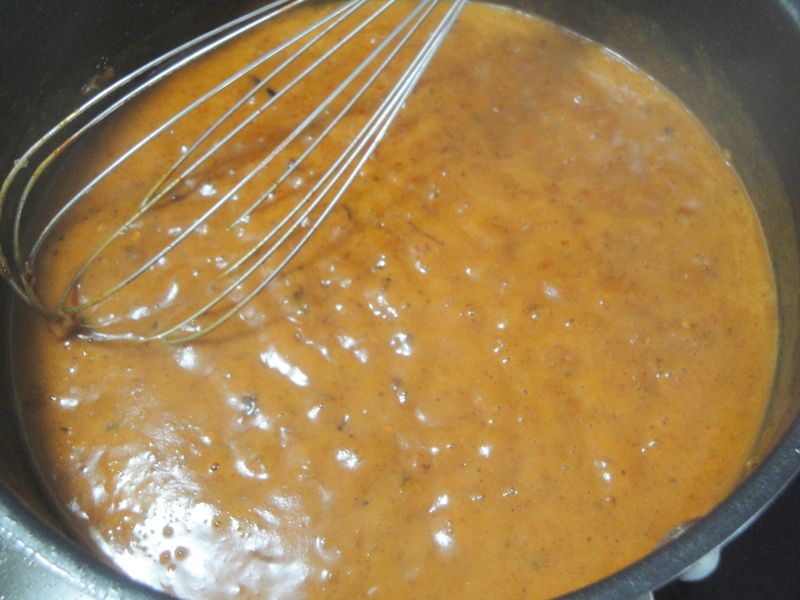 Whisk in the hot sauce, parsley and Worcestershire. 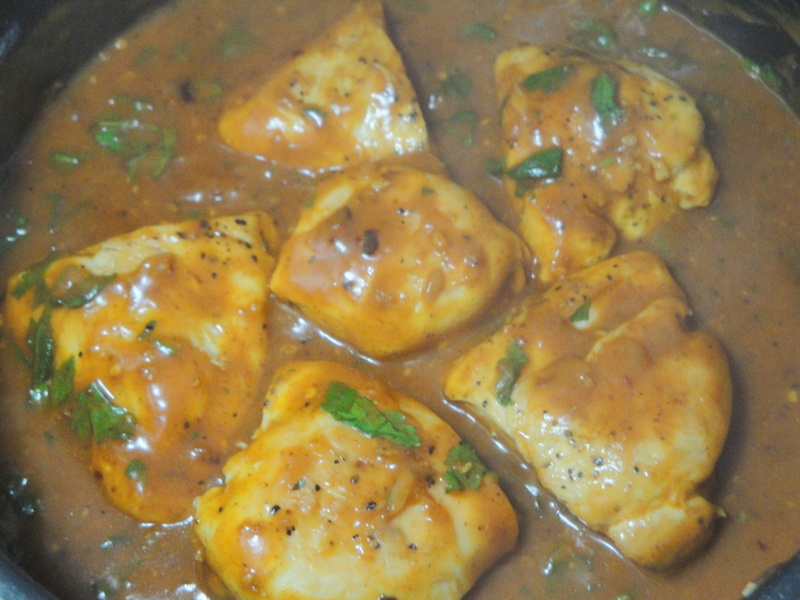 Add the chicken and its juices to the gravy and turn to coat completely. 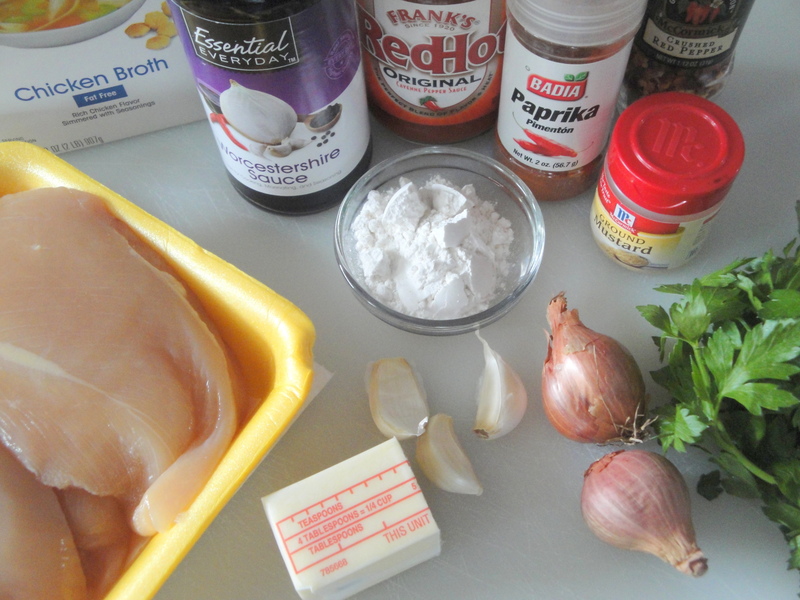 Serve the chicken on the toast points (if desired).